This letter is written to express my concern and the concern of my constituent in Sabal Trail’s Alternative. Specifically it is call the Sasser Route Alternative (Terrell and Dougherty County). I am opposed to the change of the planned route by Sabal Trail as outlined in their original applications. This change will have significant environmental and economic impact on the people in Terrell County. One individual in particular is Mark Daniel owner of Mark’s Melon Patch. His business is family owned and was built from his hard work and vision. I have personally viewed what would happen to his business if the pipeline goes through on the Alternate route. Also, impacted would be Wetlands Crossing a major 4 lane highway, the melon patch which deals with thousands of kids yearly at their pumpkin fields, hay rides and other entertaining events. I appreciate your regulators coming out to see the impact on this one business and there are many others in the area that would be impacted. I am just as concerned for them. I would be happy to meet with all parties as we face this problem. I am concerned afier studying, talking to individuals and the environmental and economic impact that I am opposed to the alternative route. If I can provide more information or more help on this matter, please call on me. 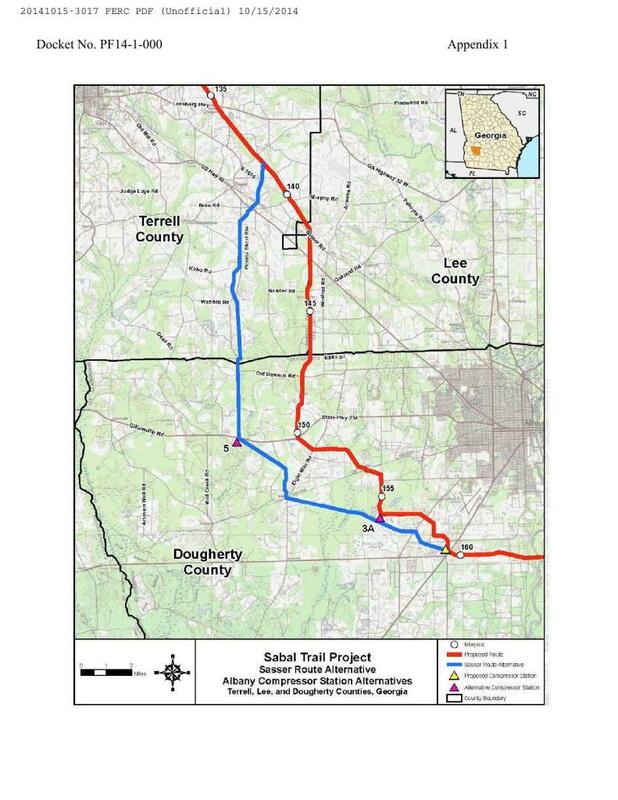 See also Agriculture over pipeline: Terrell County resolution against Sabal Trail. Interesting prospect for a sirees of posts. In my day job I manage an installation with everything from 120V single phase 20A circuits to 4160V three phase 600A circuits with both a VFD or a RVSS running an induction motor and have to regularly interface with our high voltage crew concerning the feeder into this end of campus as our loads are the second highest site on campus. I get grad students in here all the time as well as engineers and technicians that have no concept other than plug it in and it works . I have to explain three phase power and phase angles and power factors to them so they can understand when I tell them it is not as simple as just purchasing some load and plugging it in . Looks like I will ahve someplace to refer them to now. THANKS!